Go behind the scenes and inside the rings at the world’s largest and longest competitive equestrian horse show in Wellington, Florida. Spanning twelve weeks during the winter season, this coastal town in Florida plays host to awardwinning riders from all fifty states, along with Olympic and national teams from countries near and far, who convene here to chart their horses over jumps, guide them in the distinguished ballet of dressage, or pit them against other champion polo teams. At this competition, known as the Winter Equestrian Festival, no matter where a rider comes from or how they land in the ring, one thing is certain: It takes a steadfast determination to beat the best in the world. All of the author’s proceeds from this book will be donated to the Brooke Innovation Fund, which invests in new ideas to improve the welfare of working animals and the lives of those communities that depend on them. Author Holly Peterson is the New York Times best-selling author of six books, including Assouline’s Smoke & Fire: Recipes and Menus for Entertaining Outdoors, and fiction works such as the upcoming It’s Hot in the Hamptons and The Manny. She was a contributing editor for Newsweek, an editor-at-large for Talk magazine, and an Emmy Award-winning producer for ABC News, where she spent more than a decade covering everything from global politics to trials of the century. Her writings have been published in Vogue, Harper’s Bazaar, and Town & Country, and the New York Times, among other publications. Photographer Elena Lusenti is a native of Milan, Italy who is a former champion competitor in the High Junior Amateur Division at Wellington and internationally. 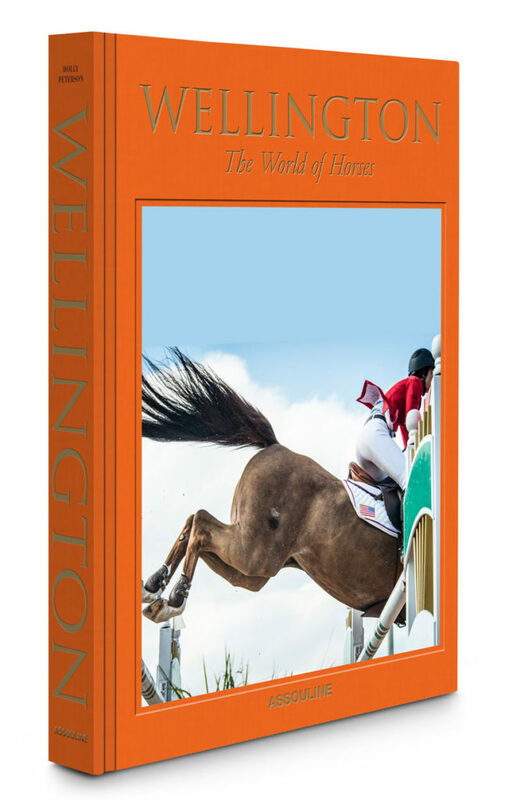 She spends her winter season at Wellington, training her camera lens on the equestrian sport to capture fresh photographs that display the essence of both horse and rider in unparalleled form.